Looking to do some graphics work without all the bulk and expense of Photoshop? Flying Meat’s Eddy-award-winning image editor Acorn provides a lot of the functionality for a fraction of the price, and the latest update, version 3.0, adds even more in the way of features. Chief among the new capabilities are layer styles, which let you non-destructively add effects to your layers. Don’t like it? No worries; you can just remove the effects without any damage. There’s also an Instant Alpha feature to easily remove backgrounds from images, live gradients, a Quickmask function for selections, the ability to rotate text and shapes, and several new filters. Plus, if you do work with Photoshop, there’s improved support for importing and exporting PSD images. 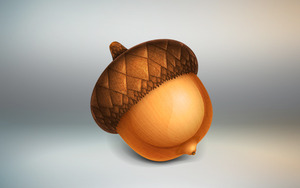 Acorn 3.0 requires Mac OS X 10.6 or later and is available for $30 from both Flying Meat’s Website and the Mac App Store until April 20; after that, it’ll jump back up to its regular price of $50. If you own a copy of Acorn 2.0, you can upgrade for just $20. Updated at 10:45 a.m. PT to clarify pricing.